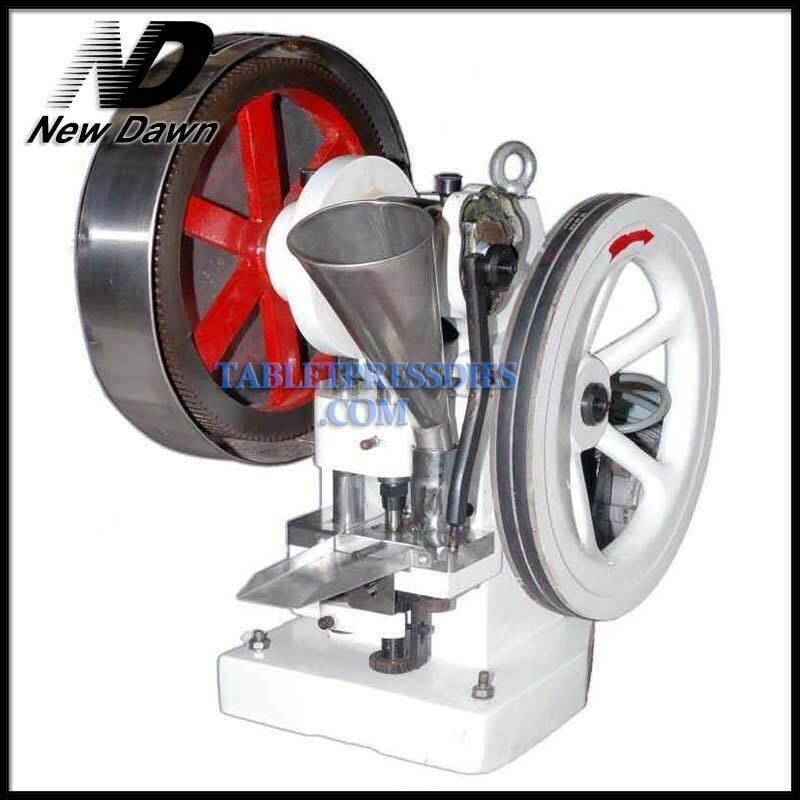 Single pill press TDP - 6 punch tablet press machine can be made into a pill by using a set of punch dies. 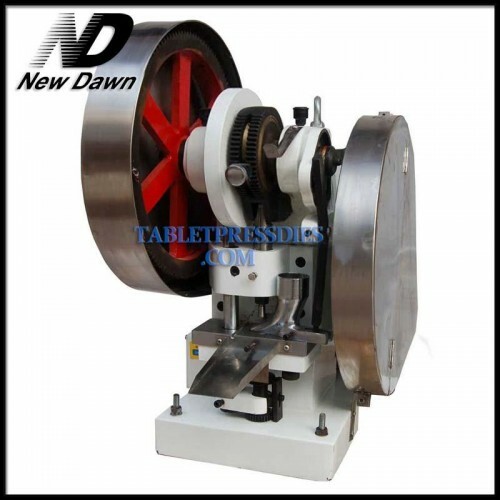 TDP - 6 punch tablet press machine is a continuous pressing electric machine, also can use by hand. 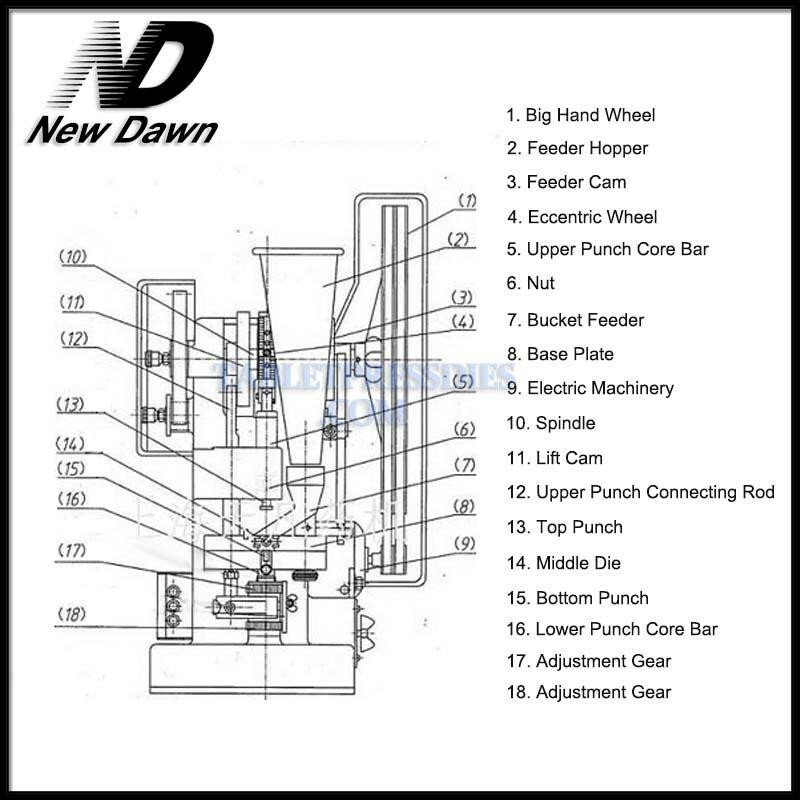 TDP-6 just can install 1 set punch dies so it's a single press machine. But you can press not only round tablets but also different geometrical shape tablets. The tablets may have impressed characters or symbols on both sides. The depth of filling and the thickness of the tablet can be adjusted. TDP - 6 punch tablet press machine can be widely used in pharmaceutical, chemical, food, hospitals, laboratory trial-produced and small batch production. 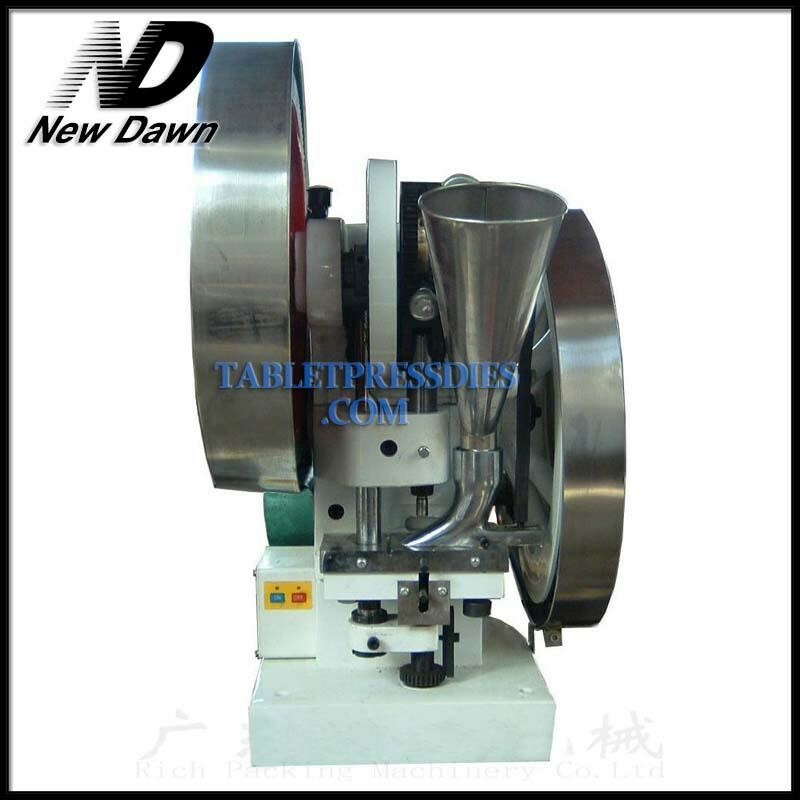 TDP - 6 punch tablet press machine can make the strong tablet, the max. diameter of tablet can up to 25mm.